FAYETTEVILLE, Ark. 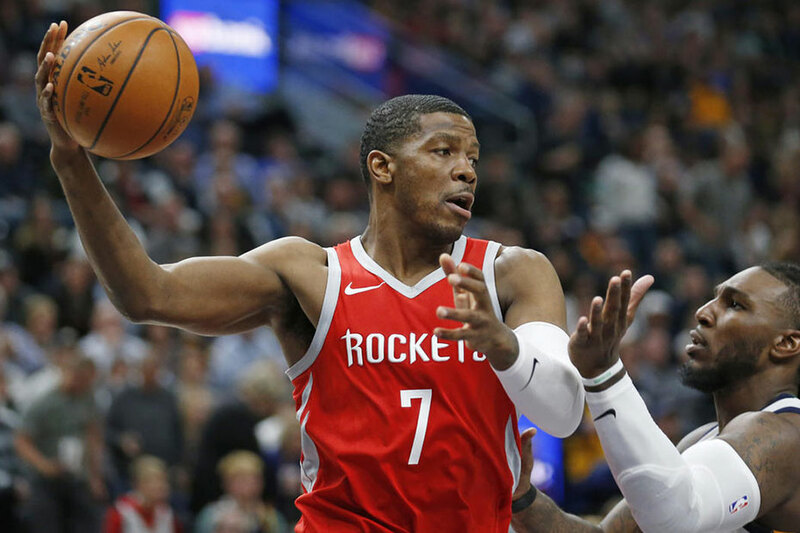 – Former Razorback Joe Johnson is set to make his 13th career playoff appearance on Sunday evening when the Houston Rockets play host to the Minnesota Timberwolves at the Toyota Center. The Rockets earned the top seed in the Western Conference after posting a 65-17 record during the regular season, easily cruising to the best mark record in the NBA by six games. After starting the season playing 32 games with the Utah Jazz, Johnson was traded to the Rockets where he has appeared in 23 contests and is averaging 6.0 points per game. Making his 13th appearance in the NBA playoffs, Johnson has logged 112 postseason games and is averaging 12.9 points per contest and is shooting over 34 percent from the arc. Johnson currently ranks 46th in NBA history with 20,405 career points and is one of 13 players to reach 20,000 points, 5,000 rebounds and 5,000 assists in the history of the league. The Rockets open the playoffs Sunday evening at 8 p.m. on TNT as Houston goes for its third NBA Championship and its first since 1995.